This #fetchfriday I want to talk about the Halifax Common (aka “the Commons”). This doesn’t fit the mould of a lot of my previous posts, because the Halifax Common is well known to most Haligonians, us included. Nonetheless, I think this incredible grassy–or snowy–space in the heart of Halifax deserves a shoutout. Update: This is not an off-leash area and although a lot of people use it as such, we have heard that there have been some complaints and by-law enforcement has been issuing tickets in this area lately. So proceed with caution. For one great summer back in 2010, we lived on Hunter Street, so Dal and I were frequent fliers at the Halifax Common. (Did you know it’s the oldest city park in Canada?!) Now that we live in Dartmouth we don’t go all that often, but it still makes for a handy place to stop if we’re running errands downtown. Lots of dogs to play with. 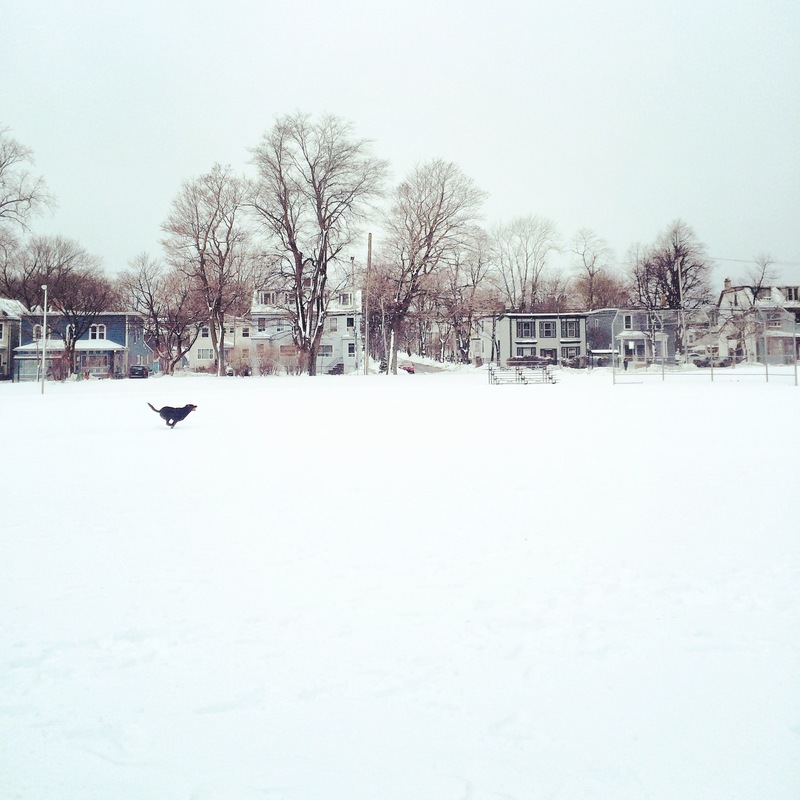 The fact remains that Halifax Common is technically on-leash only. It’s not even on the list of sports fields that turn off-leash for the winter months (I discuss this fantastic program here). But its use–albeit illicitly–a play space is well-established, if controversial. So here’s to you, Halifax Common. Thanks for giving us tons of wide open space to stretch our legs, chase a ball, and take in this beautiful City. Admiral Cove Park, What Are You?